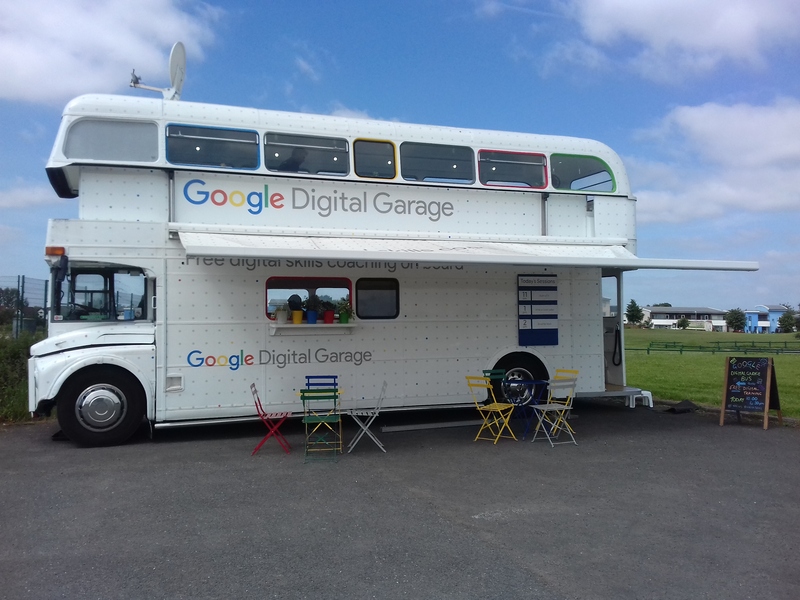 On Wednesday 6th June, Castle Vale Stadium was excited to welcome the Google Digital Garage Bus to the estate. Tech giant Google have converted a double decker bus into a mobile digital training hub to offer free coaching and advice to help anyone find a job, grow their career, grow their confidence or their business. The bus, equipped with all the latest technology, alongside expert trainers, provides an accessible way for people to learn how to improve their digital skills. Visitors to the bus were able to join courses on how to build a CV, writing a cover letter, and email for work as well as advice on how to improve their digital skills. The Google Digital Garage tour project is part of Google’s commitment to provide free digital skills training to everyone across the UK. Wayne Goodwin, the Castle Vale Stadium Manager was their first customer and received 1 to 1 coaching to help him set up a new Facebook page to advertise the stadium and facilities. The talented guys from Romulus FC also took advantage of the expert advice on hand to learn more about online safety and using their digital skills to help with their coursework and future careers. A big thanks to all of the people from Google and everyone involved, for a fantastic day of digital skills in the sunshine on the Vale!